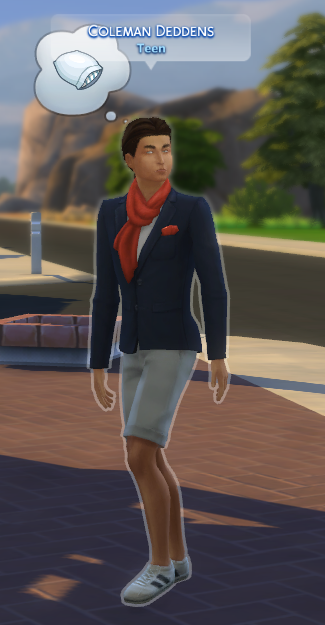 Starting a fresh thread to share the - um - unique looks sported by Sims in our games. Share those "interesting" ensembles that make us cringe ... or giggle. This lovely lady was spotted at a local park. Vampire with erm ... questionable fashion choice. 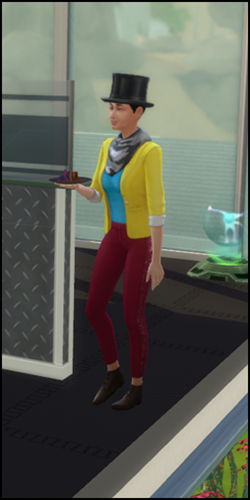 Sim logic: "As long as you have a fancy hat on no one will get past your neck when looking at you so why bother dressing up all the way?" Not sure what made me laugh harder ..... the outfit or the name! 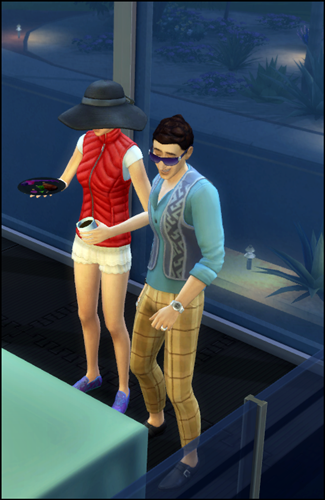 I need to start looking at my townies again! 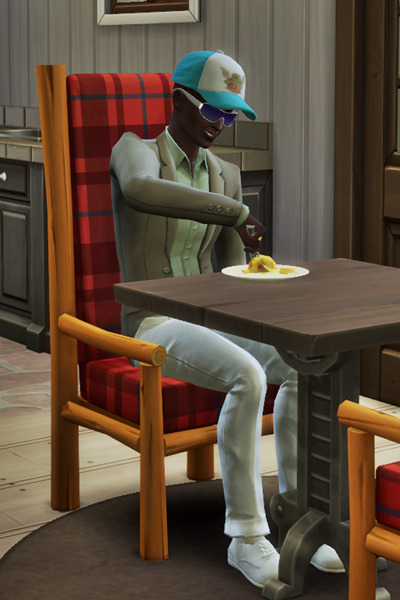 Although he wears a towel on his head in my sims friend list. I think he is on the lam and always in disguise. She would freeze with that cold weather outfit. Sims 2 doesn't have this problem. Sometimes I don't like the outfit, but they all seem to work fine. Maybe the problem is too many combinations.